Quality Windscreens, specialise in mobile windscreen replacement and repairs for Cars, Truck, Heavy Machinery. Further more, we understand the frustration that having a cracked or chipped windscreen can cause you. Therefore we offer our customers a prompt and professional windscreen repair and replacement service. Thus ensure that all our customers are tended to in record time. Currently Servicing from the Gold Coast to Tweed Heads, and Yatala to Brisbane. Quality Windscreens are your local auto glass specialists. Our mobile service comes to you to fit new auto glass to all types of vehicles including; cars, trucks, caravans, boats, ute’s, buses, earthmoving machinery, commercial plant and equipment and more…. We replace all types of auto glass including car windscreens and rear and side windows. Call our mobile service today for a free quote and organise your auto glass replacement. Most of all, our customer’s safety is our highest priority. Quality Windscreens auto glass installation technicians come highly trained and certified to carry out windscreen replacement and vehicle glass replacements. In the case where your vehicle windscreen is beyond repair, we can replace the broken windscreen with a top quality auto glass product. Due to following strict Australian standards, we are able to deliver quality results by using industry leading materials and equipment for both trucks and car windscreen replacement. Because a damaged side or rear window will need to be replaced as they are made from tempered glass designed to shatter into many small pieces on impact. Therefore ensuring that in the case of an accident, the vehicle occupants do not sustain injuries from broken glass. We also offer a wide range of options in replacement of all motor vehicle auto glass. Including sedans, utilities, hatchbacks, station wagons, vans, trucks, buses, boats, caravans and commercial vehicles. As a result, getting you back on the road with minimal delay. We also can help take the hassle out of your auto glass insurance claims. Call us today or see our windscreen replacement and repair pricing. Our founder and CEO Paul Willbrands has over 20 years experience in the motor vehicle industry as a panel beater, managing the overall motor vehicle repair process and specialising in auto glass repair and replacement. Send us a message. Our specialists will answer within next 24 hours. Competitors will often claim to be “cheaper than the rest” and offer “bargain prices”. However, when dealing with something as critical as windscreen glass, the words “cheap” and “bargain” really shouldn’t be part of the vernacular. We prefer terms like “durable”, “resistant” and “long-lasting”. What would you rather have? Auto glass composed of the finest materials and engineered to the highest standards, or a “cheap windscreen”? 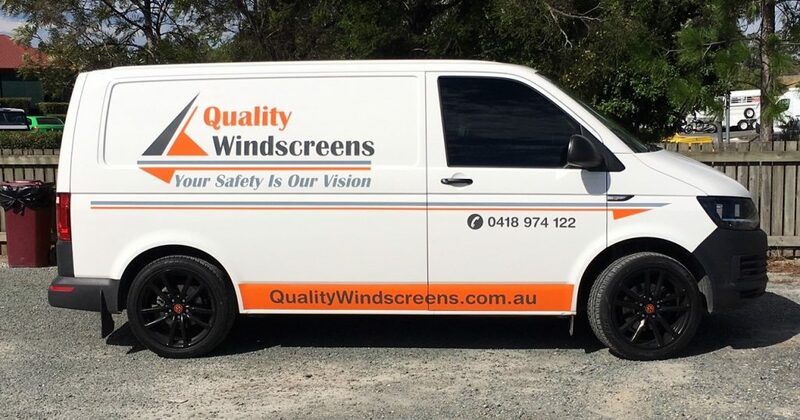 We provide mobile windscreen repairs and replacement and all your auto glass requirements to areas ranging from Brisbane, Gold Coast to the Tweed Coast. With our mobile windscreen repairs and replacement service, we offer total convenience; all services provided at a time and place that suits you, whether at home, work, or on-site. #1 Servicing Gold Coast to Tweed Heads and Yatala to Brisbane. Employ the services of a reputable and established business. Don’t waste your time contacting other Auto Glass service providers that are unreliable and complete their work using inferior quality parts that compromise your personal safety and increase the likelihood that your windscreens will become damaged again.